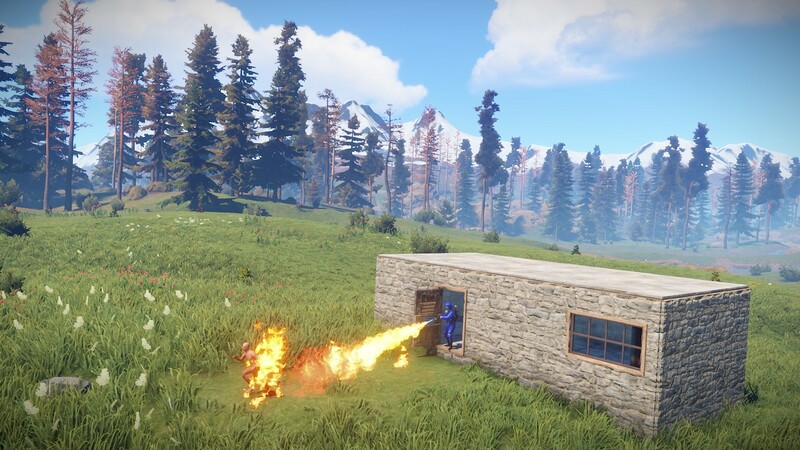 Rust is a multiplayer game, so it's more to fear not animals, but other players who are also trying to survive. Unfortunately for you, they can try to survive at your expense, find your shelter and try to kill you, while taking all your belongings. Fortunately for you, you can defend yourself and try to confront the bandits. It is best to make friends with other players and help each other survive. 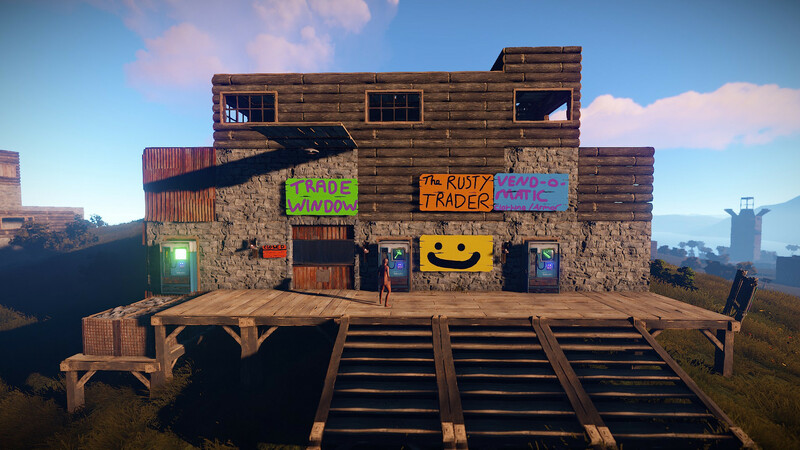 The world of RUST is teeming with dangers, so you better find your companions. The world in the game is extremely hostile. Bears and wolves will chase you and kill you if they catch up. Falling from a high altitude will not leave you a chance. Being exposed to radiation is also not recommended, you risk becoming a walking corpse. Fasting or hypothermia can also kill you pretty quickly. 2. Follow the prompts of the installer and configure the settings you need. 3. Run the game through Launcher.exe! 4. Enter the desired player name. 5. Enter the game and press F1. 6. Enter client.connect ip_adress: port, where «ip_adress» is the IP address of the server, and «port» is the port number. This game has been updated 14-04-2019, 13:56 to the latest version v2161 (upd.12.04.2019). does it works on multipayer ? 6. Enter client.connect ip_adress: port, where "ip_adress" is the IP address of the server, and "port" is the port number. To play on servers, you need to start Steam. Can I play offline? if so, say how. Eduardo, This game is only online, the only solution is to create your own server and play there yourself. Otavio, the instructions for creating a server are in the description above. Steam Load Error - Steam is Open? Please exit and try again with Steam Open! I Have already steam opened! Please i have hope for speed message! Knockles, the game has been updated, perhaps in this version you will succeed. MR. J, this version of the game is already outdated, there are newer versions. We will try to update the game soon. I really hope this actually works. Hey @Admin do you have any idea if this would work with the following server: 74.91.124.27:28015 ? Or is this cracked server exclusive? Thanks and I appreciate your work here! Hey it's me again. Any chance that v2081 will be released soon? Hi, how can i create my own server? internet its needed to play or just for start the game? how can i fixed it?? jhon, hi, the game was updated to the current version, connectivity problems should not be. hey admin, is this latest version? MmnTlh, not the latest, the game will soon be updated. but does this version works online? how do change language to english ?